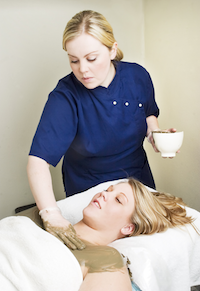 Our Seaweed Infusion Wrap is a classic spa treatment perfect for undernourished and/or dry skin. We treat you to a healthy, natural, full body seaweed wrap which infuses with your skin’s beautiful, precious outer layer. Vital mineral salts and brown-algae work to restore moisture and elasticity while firming and toning. Call City Magnolia Day Spa at 301-874-0031 or click Book Now below to reserve your body treatment. Feel remarkably smooth and soft with City Magnolia Day Spa’s selection of body wraps and scrubs.